In an exclusive interview with People Matters, Willy Saelan, Vice President - Human Resources, PT Unilever Indonesia, shares how Unilever is leveraging technology to support diversity and inclusion, the importance of self-learning, and his thoughts on the future of work. Willy Saelan is the Vice President – Human Resources, PT Unilever Indonesia. In a career spanning over two decades, he has worked across multiple HR functions – from managing employee relations in a factory to a role in leadership development and organizational effectiveness. 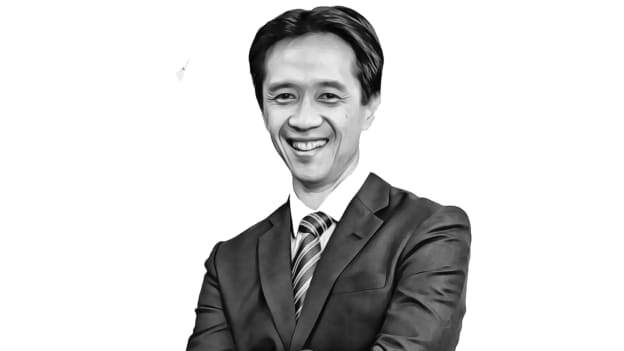 Willy joined Unilever Indonesia in 1995 and was appointed as a Director by the Extraordinary General Meeting of Shareholders in 2015, and has served as Director, Human Resources since that date. He holds a Bachelor’s Degree in Social and Political Sciences from Padjadjaran University and a Master of Arts in Human Resources Management, University of Leeds, UK. How do you think organizational learning has changed in the past decade? We really encourage the use of online learning platforms because everyone has a smartphone. With a good internet allowance, they can learn directly from YouTube, through which many courses are linked. Classroom is still relevant for leadership training and for specific skills which are difficult to master online. Also, a majority of learning is done on the job. So we need to have a clear understanding with the line manager as to the specific skills that he or she will develop on the job itself and the skills to develop outside of the core job. What is the biggest challenge according to you in talent management? In the Indonesian context, we are still growing in terms of investments. A lot of companies are still starting up and therefore, a high quality of talent is always being sought after. We’re seeing a bigger challenge in attrition at the Assistant Manager and above levels. About a decade ago, attrition rates were close to 2 percent. Nowadays, double digital attrition is common. The key priority is of building the right pipeline and identifying the right person for the role, especially in the context when our employees are getting offers from other organizations. Alternately, lateral entry from other industries is a challenge because the skillsets are different. So the core challenge pertains to engaging, retaining, and motiving employees. How do you go about solving this challenge of engaging, retaining and motivating employees? Money is not going to be the main method of motivating people to stay back. Theoretically too, it is not proven that money will retain people. Money, benefits, and salary must be hygiene factors, and we need to be super-competitive in those areas. But we know we can’t be the highest paymasters. And that’s not our employee value proposition either. The way we position ourselves as premium in the market is to focus on purpose. This means thinking about how can that the vision be translated into actions and how can we encourage employees to have their own purpose. We want our employees to have a purpose and we want to help them to live and achieve it. There are two times in our lives when there’s a major milestone. The first is when we are born and the second is when we know why we were born. And employees are engaged when they work on something that’s greater and closer to the heart, and at a company, that resonates with their own personal purpose. What are the values that you strive to inculcate in your employees? Integrity, accountability, team work, responsibility to the environment, and continuous experimentation – which instills the pioneer in all of us. What we produce is not rocket science. We can be easily replaced by other companies, therefore, if we are not ahead in terms of our innovation, then we will be left behind. Unilever has been a top employer brand in FMCG for many years. How do you drive the employer branding efforts? There’s a detailed process year-on-year, where we assess our learnings from the previous year. We make sure we survey the right target population, and we really make use of the data with the aim of understanding what can we do differently in terms of our offerings that other companies don’t have? At a time when media is expensive, we need to make sure our budgets are optimized, and we leverage digital platforms and crowd source ideas. We really look at what ticks candidates, we plan and work towards it. Diversity and Inclusion has become a key focus area for companies. How is Unilever Indonesia working towards this goal? We celebrate diversity. About 10 years ago, we started to specifically target gender diversity. The company is at 50 percent gender balance in South East Asia among assistant managers and above, not including factory workers. In Indonesia, it’s still at 40 percent. So there’s still a long way to go. Ensuring that we retain talent and ensuring that we replace vacant positions with more women will be important. Within Unilever, the HR function leverages analytics to support diversity. When it comes to appraisals, we capture data on whether we differentiate women when it comes to their appraisal. Are there any differences in ratings? How do the numbers compare with global ratings by grade and gender? Do men benefit more than women? Facts are important to assess unconscious biases. We teach managers about the danger of unconscious bias and we check the process and look at the implementation. I foresee that people will work in smaller teams, but they would need to be flexible and empowered. People will work based on projects or initiatives and will expand their networks within the company and beyond. This network of people will have similar interests and will gain benefit through this collaboration. As a result, people will double and triple their capacity without adding permanent resources as crowdsourcing underpins their activities. They would need to be more technical and digitally savvy in order to accomplish their tasks.